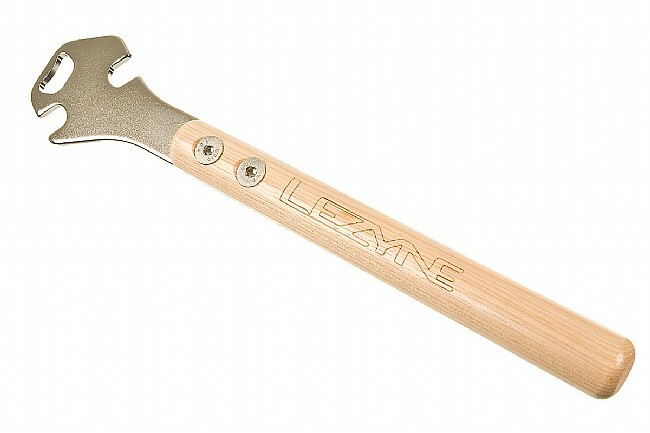 Lezyne's Classic Pedal Rod is a heavy-duty, shop quality pedal wrench designed with two 15mm offset wrench openings positioned for optimal leverage and ease of use. The head is made of a stamped, CNC-machined heat treated steel plate to remove stuck pedals day-in and day-out. An integrated bottle opener makes it easy to celebrate once the task is completed. 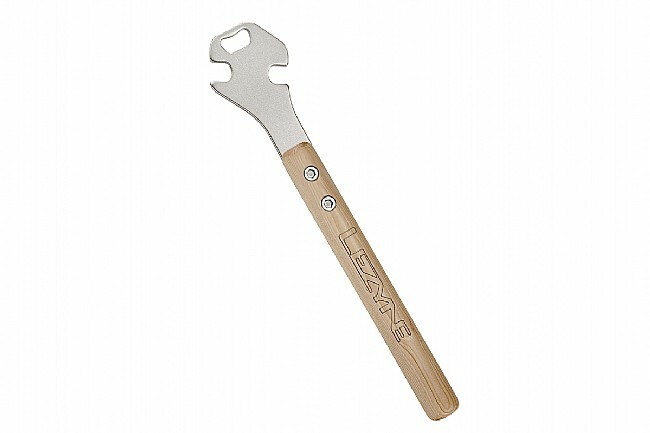 A shaped and varnished wood handle provides a classic look and comfortable grip. High-strength steel fastening hardware offers hassle-free durability. Length: 360mm (14.2 inches).